Paige White joins Peter Reitzes to discuss her tattoo which reads “I speak freely, not fluently,” how self help has changed her life, how her stuttering went from a “curse” to a huge opportunity and much more. Ms. White reminds us that sometimes speech tools just do not work. 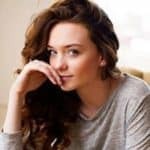 Paige is asked about driving four hours each way to attend meetings of the Dallas chapter of the National Stuttering Association (NSA), why she is thankful for her stuttering, how faith and prayer help her face stuttering, her plans to start an NSA chapter in Oklahoma and much more. Paige White is a 19-year-old person who stutters in Oklahoma taking time off from college. Paige models and is currently working in the Canadian Oklahoma County Courthouse as a typist. 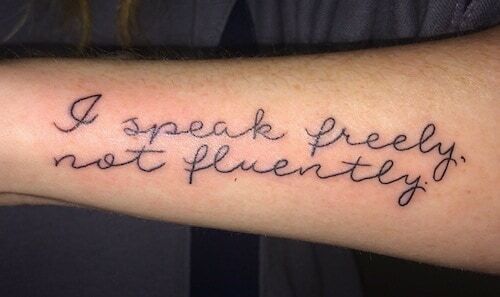 Paige’s “I speak freely, not fluently” tattoo.